Drawing its title from T.S. Eliot’s signature poem (“… what branches grow out of this stony rubbish…”), WASTE LAND follows renowned artist Vik Muniz as he journeys from his home base in Brooklyn to his native Brazil and the world’s largest garbage dump, Jardim Gramacho, located on the outskirts of Rio de Janeiro. There he photographs an eclectic band of “catadores,” self-designated pickers of recyclable materials. Muniz’s initial objective was to “paint” the catadores’ portraits with garbage. However, his collaboration with these inspiring characters as they recreate photographic images of themselves out of garbage reveals both their dignity and despair as they begin to re-imagine their lives. An estimated 3,000-5,000 people live in the Jardim Gramacho, 15,000 derive their income from activities related to it, and some that Muniz met come from families that had been working there for three generations. Catadores, like the trash heaps they call home, are shunned to the margins of society and made invisible to the average Brazilian. Muniz quickly befriended and collaborated with a number of catadores on large-scale portraits of themselves including Irma, a cook who sells food in the dump; Zumbi, the resident intellectual who has held onto every book he’s scavenged; and 18-year-old Suelem, who first arrived there when she was 7. Calling upon his resources as a world famous artist, Muniz raised more than $64,000 at the esteemed Phillips de Pury auction house in London by selling one of his garbage portraits. 100% of the profits went to the Garbage Pickers Association of Jardim Gramacho. 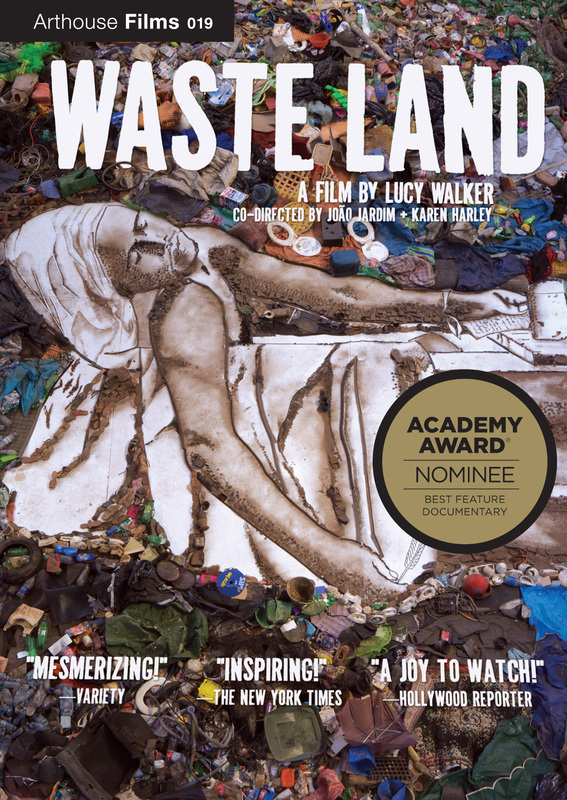 Lucy Walker, winner of the 2010 IDA Pare Lorenz Award for her direction of WASTE LAND, gained unprecedented access to the entire process and, in the end, offers stirring evidence of the transformative power of art and the alchemy of the human spirit. 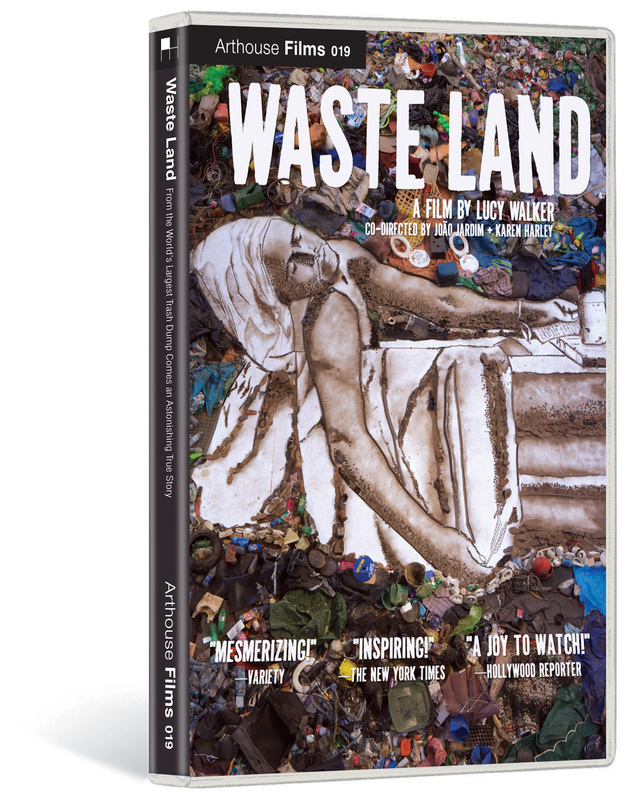 WASTE LAND is an Arthouse Films Release, co-directed by João Jardim and Karen Harley; produced by Angus Aynsley and Hank Levine; co-produced by Peter Martin; Executive Produced by Fernando Meirelles, Miel de Botton Aynsley, Andrea Barata Ribeiro and Jackie de Botton; Edited by Pedro Kos; original music by Moby. Arthouse Films is an independent production and distribution label based in New York and Los Angeles that acquires, produces, co-produces, markets, and distributes 20-plus titles per year. Upcoming and current films include Picasso and Braque Go to the Movies, Chuck Close, Visual Acoustics: the Modernism of Julius Shulman, and Jean-Michel Basquiat: The Radiant Child. New Video is a leading independent privately-held distributor of quality entertainment via DVD, Blu-ray, download and streaming platforms, and cable VOD. We are the proud home to some of the most prestigious names in the industry like A&E®, HISTORY™, Lifetime®, Major League Baseball®, Scholastic Storybook Treasures™, Arthouse Films and Tribeca Film as well as our own lines Docurama Films®, and the newly launched Flatiron Film Company®. Since 1991, our mission has been to discover first-rate content and deliver to audiences through traditional platforms and evolving new media. We selectively handpick our library while collaborating directly with our brand partners and filmmakers to cultivate a superior product and fresh new viewing experiences for our audiences. We are headquartered in New York City, and have an international presence in 45 territories. www.newvideo.com.